New year chronicles resolutions in uncountable doses, and when it comes down to it, we like to keep it simple: Be better, work harder, climb higher. There’s something about this year though, that makes us feel like it’s going to be a great one…you sense it too, right? So while we still feel fresh, flushed and ready to seize 2015, we want to keep our priorities in order. As always, we’ve had you in mind, and giving you the best is always most important. As the first rays of sun shone on 2015, we made a pact to keep you in the loop by sharing a few things that would shape our year. Not only would we be introducing the rad individuals behind the scenes, we’ll also be dropping teasers on what you’ll be seeing here overtime. All summed up, here’s your guide to Black Fabulousity in 2015. Welcome to Black Fabulousity, our job is to take people on a journey, Expose them to a world that’s rich with creativity. We want you to be entertained, just as much as we want you to be informed on the amazing works the pool of African creatives consistently dish out. We want to inspire you, showcase what’s unique, peculiar and different, what goes beyond glamor, the depth to our fabrics, the story behind each brand. When you come here, we want you to inhale all the goodness of Africa. Hi, I’m Kachi, a Systems Engineering graduate and blogger living in Lagos, Nigeria. 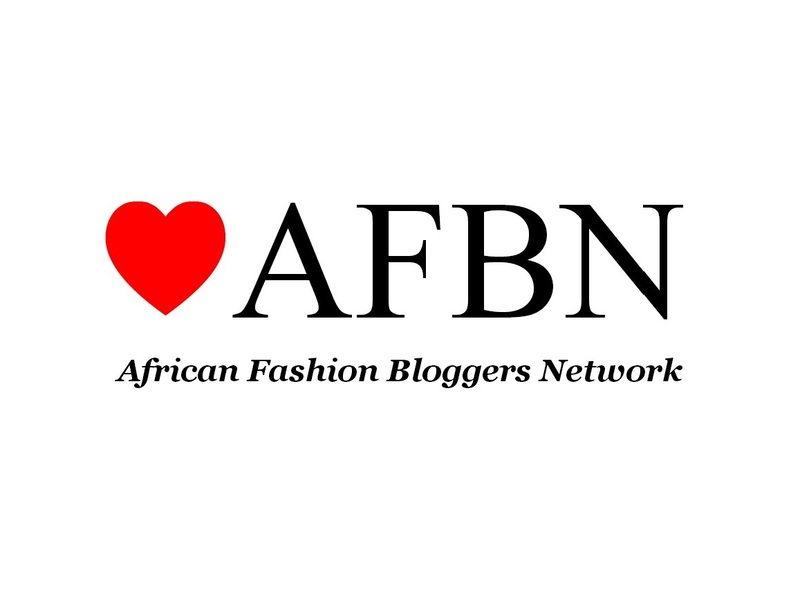 I started Black Fabulousity in late 2012 as a platform where I could share my interests and finds in African fashion. Fashion for me started back in 2010 with me being a part time model and getting to work with a few designers, fashion houses and magazines. I’m a very visual person, so it’s no surprise that I developed a strong liking for art and an interest in photography, both of which were incorporated into the blog overtime. I love to travel, red wine is a favorite, and you’ll mostly catch me buried in a book or magazine. Hi, I’m Uche. I’m a fun-loving foodie, law student, lover of all things African and occasional writer. I love natural hair, Instagram, alternative music, hunting for bargains and I’m passionate about Christ. I also have a serious case of wanderlust. I came into the fashion industry as an intern at a fashion magazine in 2012, and then progressed to a features writer. Working on the blog gives me the perfect opportunity to share my love for fashion, writing and art in all its expressions. I’m Tunde Mason and I’m a photographer. I’ve been into photography for about four years, and started professionally four months ago. I was drawn into it by my late father’s work. There has always been one frame or the other around the house so I thought; “Hey! Why don’t I take one like this?“, and to be honest, I’m still on that journey. The mere act of freezing, and practically immortalizing a moment in time, the process of photography in itself is what I find the most interesting. I focus on documenting the experiences of Lagos, covering events …and style bloggers are one of my favorite subject. If the awesomeness of our lives were measured by the amazing stuff we blog about, maybe we’ll be feeling a lot more like Kimora Lee. Its kind of weird though, that our lives are probably simpler than you think. We don’t live in four (the new six) inch heels, neither do we spend all week at elite gatherings and the likes. The real deal is much more…regular, but not in anyway uneventful. Unarguably, we enjoy blogging about the works of people who devote their time to creating amazing stuff, but what’s even better is getting to talk with them. Like how we had a brief dialogue with Lisa Folawiyo at last year’s LFDW. Last year, our mail saw more spam than ever. Mark all, empty, and the next day we had to repeat. The drill this year is to let go of whatever causes unnecessary stress, so bye Yahoo. We’re hooking up with Gmail, just in time for you to add [email protected] to your contact list. A little bit of a lot. Like once-in-a-while coupons, featured stories, something for those days you feel like trying out a DIY, a guide to our recent style and fashion blog finds, life of a trend..extras and extras. We’re suckers for fashion, art and photography, but when we said “Your dose of African goodness”, we didn’t mean in half measures. This year, we’re working towards incorporating the good music culture of the continent (and beyond). Libraries used to be one of our favorite places, but because the Internet, we learned to adapt to techy customs which brings us to share with you some favorites from our reading list that aren’t necessarily paper backs. Our days are unbelievably saturated with goodness, inspiration never runs out on Instagram, tumblr or anywhere around the web. There’s always something new, something to be excited about, something to talk about. That piece from a collection we so love, a stunning new editorial, news we just heard…etcetera. In the Weekend Mashup, we collect the best of what we’ve come across on the Internet, what makes our tongues wag and once in a while, important news on what’s happening in the fashion industry. Think of it as a visually appealing buffet, spiced with words and served personally to you.